This game was made in Pico-8 for the class Pixel Prototype studio. This was made in a week based off the prompt Olympics. I feel like this game accurately captures the sport of skeleton. Most of the time is based off the initial run, with a lot weighed on the launch off. 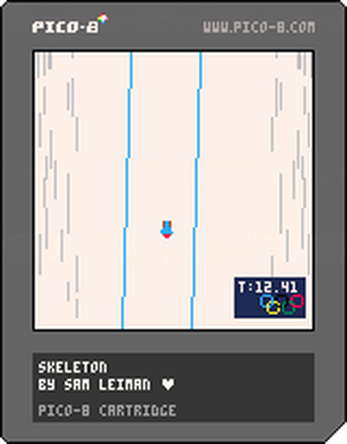 The difficult controls aim to capture the difficult and confusion of turning in skeleton.